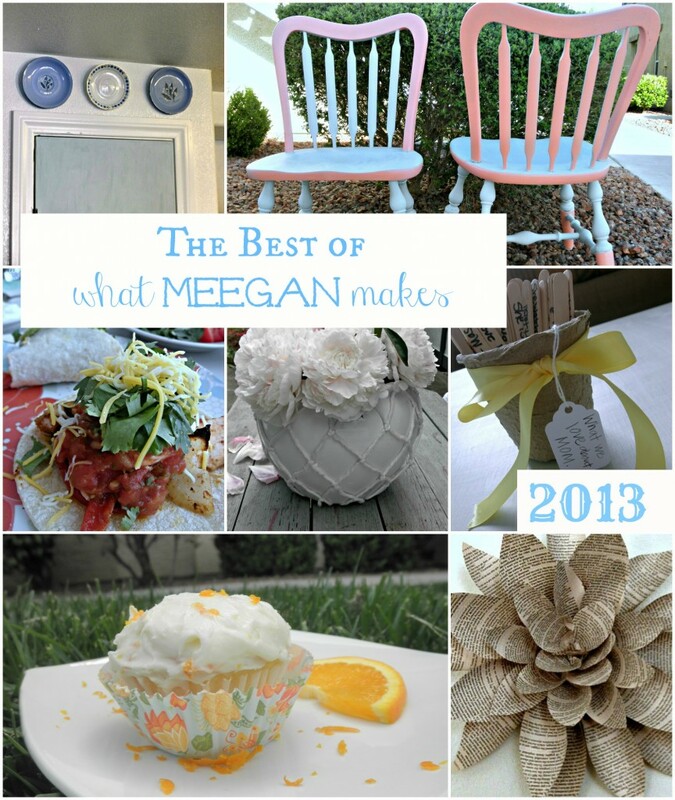 As part of a The Best of 2013 from What Meegan Makes, I am going to post some of YOUR favorites, while I spend time with my family for the Christmas Holiday. How fun is this??? Last May, I posted about this and had several questions whether it worked or not. I can most certainly tell you that it does work without a hitch! Ask my cute friend, Emily from 52 Mantels. She has a whole wall using this method. Try it, you will like it. That is a promise!! 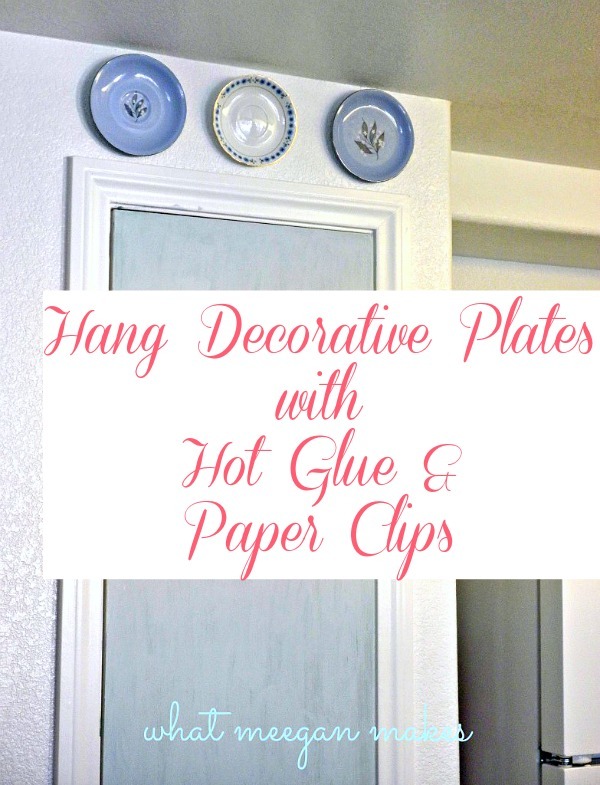 Now, on to the most simple idea ever…Easy to hang decorative plates. I mean, easy. Don’t you just love the look of plates hanging on a wall? 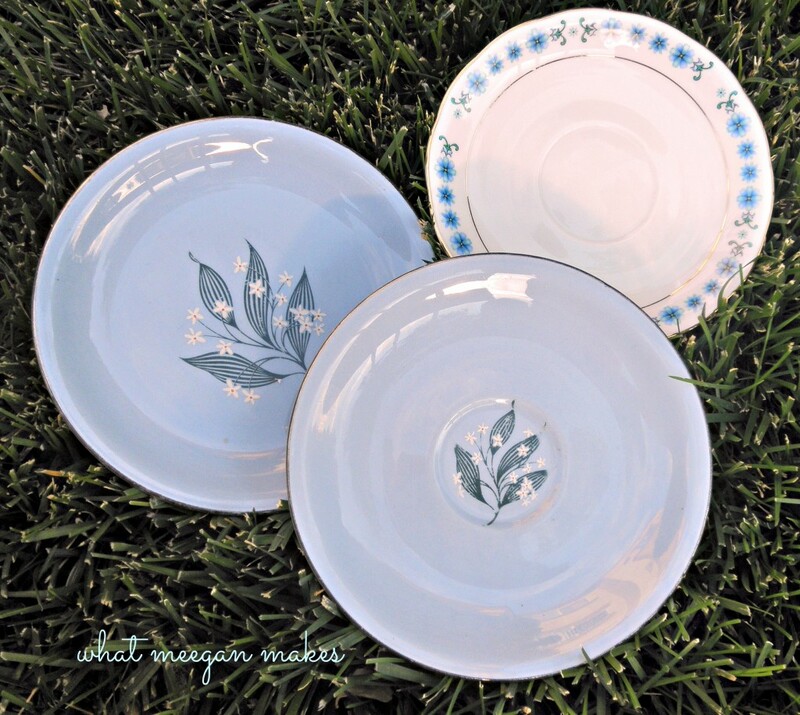 I really do and finally found these 3 plates while thrifting a few weeks ago. At 75 cents each, I couldn’t pass them up. 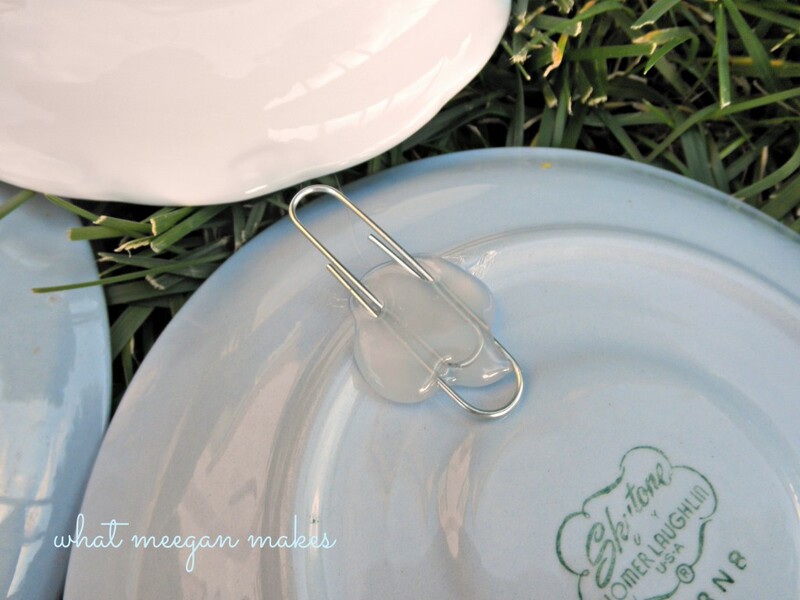 I mean, blue plates-I needed them now!! I could picture them hanging above our pantry door. It is a small space, but needed a little pizzazz. These plates were the answer. I like how they don’t match perfectly. Two are from the same pattern, but still a little different. Yep, you guessed it-Hot Glue. Lots of it. I tried using other glues like sure-bonder, but hot glue worked the best for me. For my “hanger” I used a large paper clip. It is strong and the right size for any size nail needed. Don’t my blue plates look lovely about my pantry?? They fill the space just how I imagined. 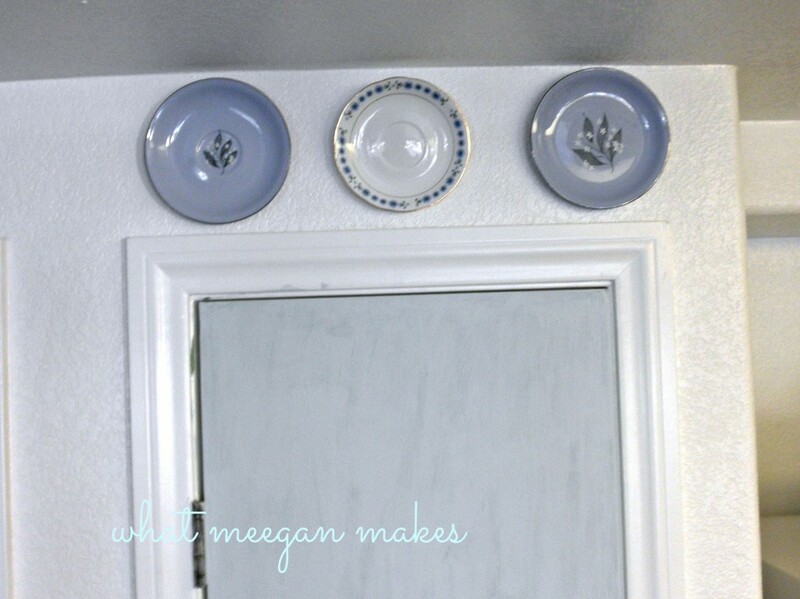 Didn’t I tell you I had an easy way to hang decorative plates?